Gary Barber, Wachtel Stable and Terp Racing’s Grade 2 winner Still Having Fun, based at Laurel Park with trainer Tim Keefe, is scheduled to make his next start in the seven-furlong H. Allen Jerkens Memorial (G1) Aug. 25 at Saratoga Race Course. 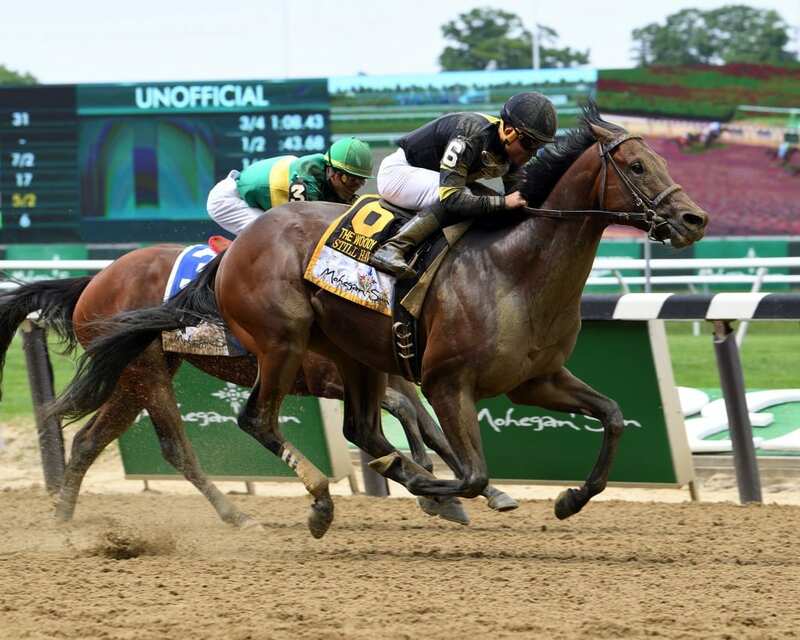 After giving consideration to both the one-mile Dwyer (G2) July 7 at Belmont Park and the 6 ½-furlong Amsterdam (G2) July 28 at Saratoga, his connections opted to give Still Having Fun a brief freshening and point for the $500,000 Jerkens, previously run as the King’s Bishop. Still Having Fun, a 3-year-old bay son of Old Fashioned, rallied from ninth in a 10-horse field to win the seven-furlong Woody Stephens (G2) June 9 at Belmont, on the eve of the Belmont Stakes (G1). It was the first career graded win for Keefe and his colt, who opened 2018 with victories in the Frank Whiteley Jr. and Miracle Wood over the winter at Laurel. “He’s doing great right now,” Keefe said. “He came out of the last race super. He still goes out six days a week, je just does a lot more jogging. It’s a little bit more relaxing. I haven’t breezed him since the race; I may do something maybe this weekend or next weekend with him. I’ll kind of let him tell me. Keefe earned his 500th career victory July 7 at Laurel with runaway maiden winner Ticker Tape Parade. He has never won a race at Saratoga, but did finish third by a length and a head with 22-1 long shot Strike Zone in a 1 1/8-mile turf claimer on Aug. 25, 2001 – one race after eventual Horse of the Year Point Given’s victory in the Travers.